There are no officers employed by Brackley Town Council whose taxable salary is in excess of £50,000 therefore no additional information on salaries is required under the Code. The Precept is that element of your Council Tax which is paid to Brackley Town Council, and varies accoding to your Council Tax band. The amount paid the Brackley Town Council in the current financial year (2018-2019) is £125.57 for a Band 'D' property. Every year, the Town Council draws up budgets and calculates how much money it needs for the next Financial Year. These budgets are finalised at the January Full Council meeting and then submitted to South Northamptonshire Council. SNC co-ordinates the other demands from NCC, Police, Fire & Rescue and its own requirement and works out the amount to be paid by each household from 1st April each year. 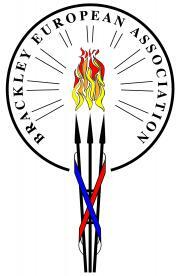 The Council accepts Grant Applications from organisations either based, or providing services, in Brackley. Please use the grant application form.